LABOR candidate for Cowper Andrew Woodward said Luke Hartsuyker's announcement today creates an opportunity for the people of Coffs Harbour and Port Macquarie at the next Federal election. 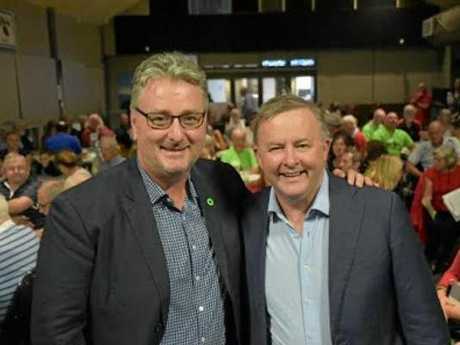 Mr Woodward said the incumbent Nationals MP's decision not to recontest the seat of Cowper, was a chance for the Mid North Coast to make a clean break toward a positive new future under Labor. "I acknowledge Mr Hartsuyker for his service to the parliament and community since 2001," Mr Woodward said. "I applaud him for last year supporting in Parliament the vote on marriage equality which went against his own personal stated position. "I wish him and his family well in his retirement. 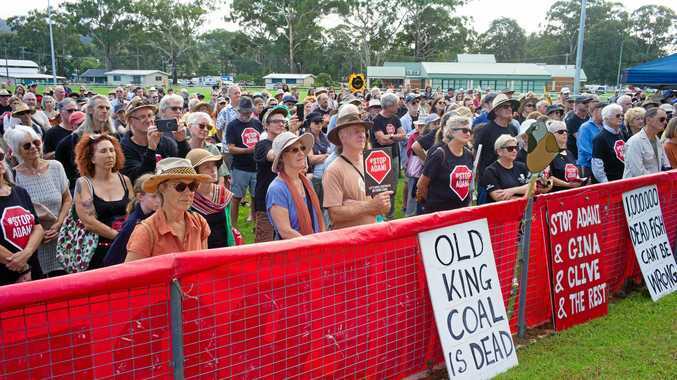 Port Macquarie, have been let down by Mr Hartsuyker and the National Party since 2001." In a press statement, Mr Woodward listed a string of criticisms against the incumbent Nationals member. "Let us never forget, Mr Hartsuyker," he added. Opposed the Royal Commission into banks. Refused to support moves to reverse the removal of weekend penalty rates for potentially one in four workers in Cowper. Supported the recent tax cuts which deliver far less to people in Cowper with the bulk of the benefits to richer electorates in Sydney and Melbourne. Supports $80 billion in big business tax cuts including $17 billion for the banks. Supported all actions to unwind Labor's climate change action plans since 2013. Opposed Labor's housing affordability initiatives in an area where the mean house price is near or over $500k. Supported cuts to Medicare, local schools, pensioners, child care, veterans, NBN, apprenticeships and the ABC. "Mr Hartsuyker's legacy is one of under achievement and lost opportunity," Mr Woodward said. "While other parts of regional Australia have achieved much since the start of the century, Cowper has either been stagnant or left behind. He wasn't up to it. The Nationals aren't up to it. We need to stop the rot.
" All the signs point to Labor winning the next Federal Election and we will be better off with a Labor voice in a Labor government." Addressing a general unemployment rate in Coffs Harbour double that of Sydney. Addressing a youth unemployment rate locally now affecting one in five in Coffs Harbour. Turning around job losses in primary industry (agriculture, fisheries and forestry) at the Coffs Harbour end of the electorate forecast to fall from 4,400 in 2017 to 4,200 in 2022. Restoring weekend penalty rates to potentially 13,000 impacted workers in Cowper. Boosting the rate of economic development - Port Macquarie is listed as being "Slow and steady" while Coffs Harbour is listed as "Slipping". Both are behind other regional centres listed as "Expanding" or "Gaining". Restoring $22 million cut from public schools in Cowper in 2018 and 2019. Addressing a domestic violence rate of two per week, reported to police. Reducing the public housing waiting list from 2,000 applicants in Cowper, who must wait from five to ten or more years for social housing. Helping 2,750 pensioners in Cowper impacted by changing the pension assets test. Two thousand local pensioners saw a cut to their pension of on average $132 a fortnight and a further 750 local residents lost their pension entirely. Helping one-in-five families on the NSW North Coast who from 1 July 2018 receive less subsidised child care. Fixing the rural doctors shortage where waiting times are can be several weeks outside of Port Macquarie and Coffs Harbour. Getting more affordable housing as rents increased by more than a third in two years. Addressing Cowper having the highest percentage of people below the poverty line of any electorate in Australia. Addressing Cowper having the fifth highest level of disadvantage of any electorate in Australia. Delivering fixes to parts of the electorate relegated to sub-standard NBN - fibre-to-the-node and fixed-wireless. Speeding up the rollout of the NBN, which in parts is running up to a year late. Delivering climate change action and mitigation against rising sea levels which will inundate the coasts of Cowper over the rest of the century threatening homes, business districts, roads and airports. Arresting a 50 per cent decline in the koala population on the North Coast. 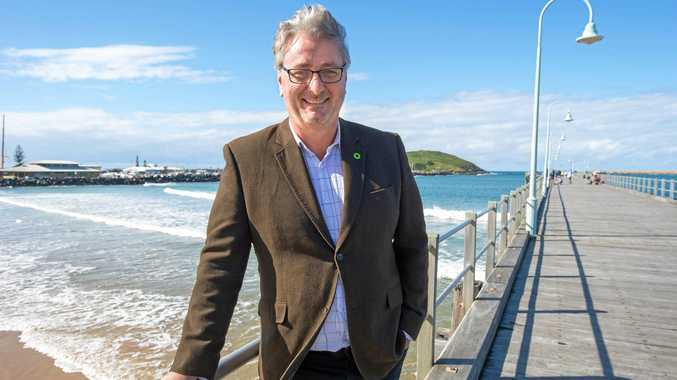 Restoring reduced protection for the Commonwealth Marine Park off Coffs Harbour. Restarting the stalled program to put more precious wilderness areas on the Gondwana Rainforests World Heritage List. Dealing with the Coffs Harbour Bypass not starting until 2020 and not being finished until mid next decade. Addressing the lack of funding for the Coffs Harbour Bypass beyond 2021/22 and filling the $736 million funding gap. Getting a plan for the economic transition of Coffs Harbour to post-bypass world. Getting an adequate supply of rental housing for bypass construction workers as to reduce pressure on rental accommodation and rents for full time residents. Getting a plan and funding to ease traffic congestion in Port Macquarie, where $1 billion is needed over 10 years for a ring-road. "The list is long and the issues are complex," Mr Woodward said. "Mr Hartsuyker's failures across the board prove that the National Party simply isn't up to delivering for regional and rural Australia. In time, they will pick a replacement candidate for Mr Hartsuyker who will only be capable of more of the same." "I am up for it. Labor is up for it. Bring on the election."